"Princess" was e-mailed to me to crosspost. 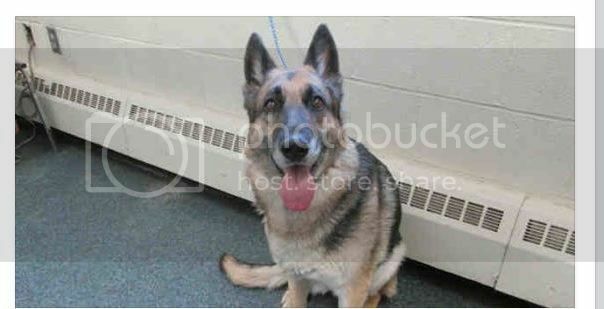 She is currently at the Lucas County Canine Care and Control shelter in Toledo, OH (formerly the Lucas County Dog Warden). She is "rescue only" as she is very nervous and terrified in the shelter setting and did not pass her SAFER test. She has not eaten anything since being brought in because she is so scared. The staff believes she failed testing because she is so scared at the shelter and they would really like to find a rescue and foster home for her as they believe she is really a good dog and deserves a chance. But if a rescue is not found, she will not be adopted out to the general public. Princess is an older adult girl - probably around 8 yrs old or so based on her photo. I do not have any further information about her, but if you'd like to know more, please contact the Lucas County Canine Care and Control at the number or e-mail address given below. Princess is not on Petfinder as she is "rescue only" at this point. The Lucas County facility is in downtown Toledo, very easy access off of I-75. Last edited by raysmom; 04-23-2014 at 03:09 PM. Apparently Princess didn't actually fail her SAFER test, but she just wouldn't eat for the food guarding portion of the test. She did well with the other dogs and was an owner surrender. 8 years old and an owner surrender. Those are the ones that really kill me. Hope she finds a home. You can tell by looking at her, she wants to go home..
How people can do this to a loving family member is beyond me. Aw, she looks so sweet. I hope she finds a loving, forever home very soon! This poor girl looks sweet. Hoping someone in NC can open their heart..
She is acually in Ohio ,NW part of state. My understanding is that the people from Planned Pethood in Ohio, are looking for a foster for her and are going to pull her. She was actually brought in by police, after her owners were evicted from their home. When I spoke with Lucas County's rescue liason, she said this dear girl is not aggressive in any way but simply very frightened. Will double check to see that the PP plans did not fall thru.